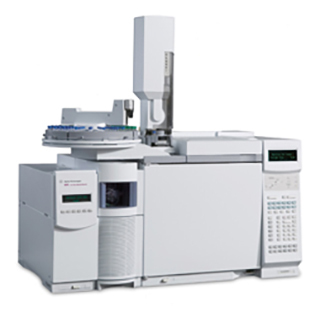 Available from KRSS a used fully refurbished and serviced Agilent 5975 MS with Agilent 6890 Gas Chromatography System. Prices includes installation, training and 6 months warranty. The Agilent 5975 is one of the most popular GC/MS of all time, The Agilent 5975C inert MSD with its new Triple-Axis Detector gives you innovative design features that boost your lab’s productivity and advanced analytical capabilities that enhance your results - and your confidence. In addition to delivering better MS resolution and the lowest mass deviation available, the system offers superior sensitivity and spectral integrity. Advanced analysis routines let you get more information from every run, and the latest version of automated spectral deconvolution, identification, and quantification software provides higher quality analyses with even less operator time and attention.